Most women will tell you that motherhood is the most rewarding job they’ve ever had — and the hardest job they’ve ever tackled. Charlize Theron’s new movie, Tully, takes on the challenges of being a mom in a surprisingly frank and honest way. Instead of sugarcoating the experience, Tully is showing us that it’s OK to own the hard parts of raising kids as well. While the debate about the film will continue as it reaches theaters nationwide, Tully isn’t the only film to honestly tackle the joys and sorrows of raising kids. Here are a few other films whose point of view is that parenting is anything but easy. This Oscar-nominated film revealed that a mother-daughter relationship is extremely complicated, especially during the teen years. The rush to grow up and go as far away from home as possible to seek independence is exactly what Lady Bird (Saoirse Ronan) desires. Her equally strong-willed mother (Laurie Metcalf) does her best to hold her daughter back because she wants her to stay close to home and close to her heart. Many viewers can no doubt relate to the battle between the two women — your mother can be your most challenging friend during the teen years. Once you leave the nest, however, you may feel that there’s no friend better than your mom. That quote from the 1993 film is the basis of two generations of women who come from contemporary and traditional cultures. Many first-generation Americans can relate to the idea that there is sometimes a familial battle between old and new traditions. All of the Chinese mothers in the film have high hopes for their daughters’ success now that the families have immigrated to the United States, but there is some sorrow in losing some of their Chinese cultural heritage because their daughters were born Americans. A big part of motherhood often means carrying on traditions from generation to generation. When that role straddles two different countries and two different cultures, The Joy Luck Club shows the struggles and successes of marrying those two conflicting views. Mothers and daughters might not always get it right, but they can develop a deep understanding of each other along the way. Can we all just admit that we are never truly prepared for motherhood? Whether you have nine months to get ready or you are suddenly thrust into the role, parenting is one big improvisational scene. We can prepare by taking classes and reading books, but we all know that we’re doing the best we can. Sometimes learning by doing is the best teacher we can have. Katherine Heigl and Josh Duhamel’s characters certainly didn’t plan to be parents together, but the rough road they faced in raising their friends’ child under sad circumstances is still real. As mothers, how do we give a child the best life possible, even if we aren’t emotionally ready? That’s the learning curve we all face, because motherhood is a great equalizer. We are all on the same playing field with our first kid. So, we need to go easier on first-time parents — we’ve all been there, made mistakes and then relished our triumphs. Terms of Endearment dives deep into the struggle of having several kids back-to-back with a partner who is less than supportive. Adding to the family dynamic is a mother-in-law who doesn’t approve because the husband will never be good enough for her baby. Women always strive to do everything and do their best, but there are days we fail as mothers and grandmothers. Honestly, that is OK, because striving to be perfect isn’t a fun place to be either. We are all in the same boat. That’s the big question in the 2004 movie Spanglish. There are so many different styles of parenting, but the truth is that we all want the best life possible for our kids. Our desires often overshadow the needs of our kids, though. Our dreams may be different than their dreams, and that is where rebellion drives a big wedge between generations of mothers and their kids. The need to be the perfect mother is probably embedded in all of us. There’s pressure to do better, be better, look better and be that glossy family on Pinterest. We need to let that all go and just support each other in our successes and our failures. Spanglish shows that if we take a step back from our life and analyze how we are functioning as a family, we might see that we’re doing too much. Letting our kids be themselves and keeping them healthy and happy is more rooted in simplicity than creating a magazine-ready life. So, let’s celebrate all mothers this Mother’s Day by not only showing our appreciation but also showing them some understanding. 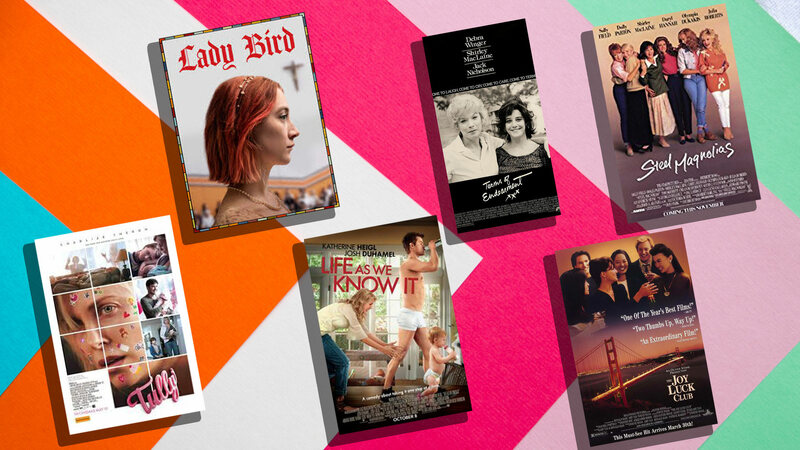 We are all doing the best we can as mothers, and these films ultimately reaffirm that.